Historically, the purpose and importance of mathematics learning in the early years has not been properly understood or valued in South Africa. This is in part because there is not a general understanding of how mathematical ideas and skills are developed between birth and five years, nor of how best to approach the teaching and learning of key concepts and competencies during this period. 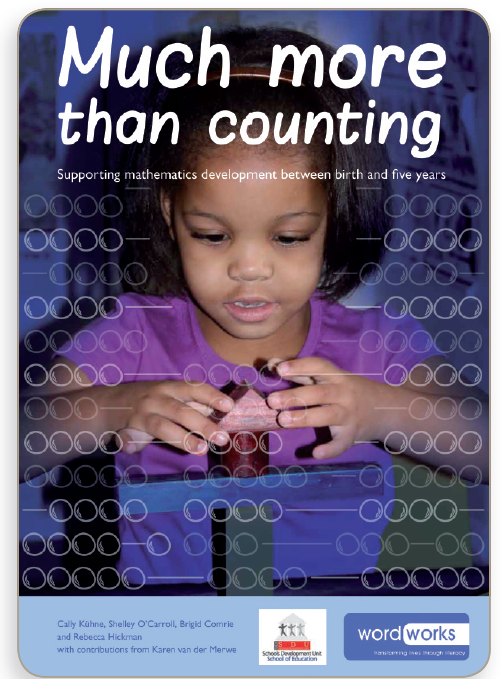 The Much More Than Counting publication, collaboration between the Schools Development Unit and Wordworks, was completed this year and it seeks to fill that gap by providing both a conceptual overview and practical framework for early mathematics development. A summary of the full document is offered here, but we also provide the full document for download.